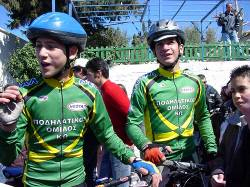 Sports on the Island of Kos - Mountain Biking - Nostalgia Travel Agency. 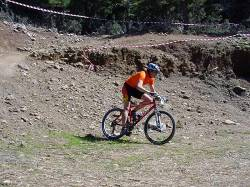 Guided Trekking & Mountain bike Tours for all levels: for pleasure cyclists, advanced bikers and sportive bikers. By boat and bike along the Dodecanese Islands. Kos, Kalymnos, Leros & Nissyros. 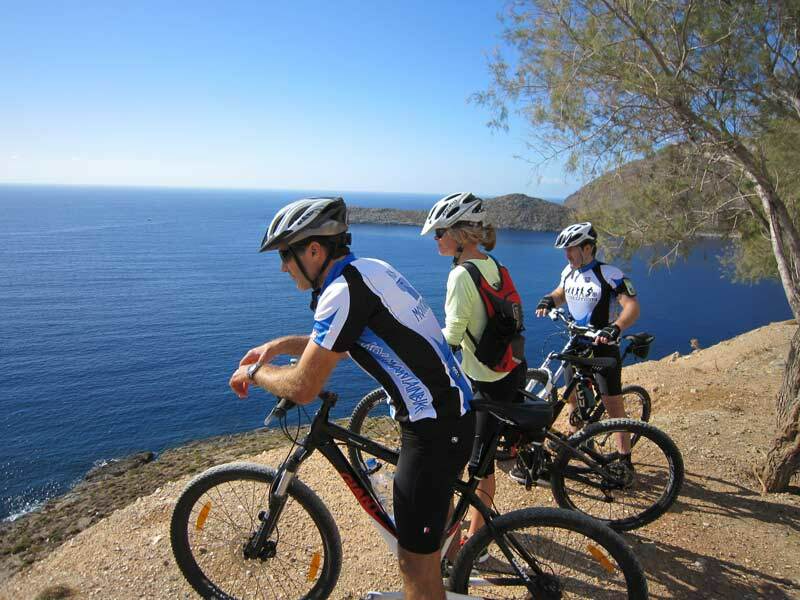 The four beautiful islands with its various landscapes are ideal destinations for active holidaymakers who enjoy biking. 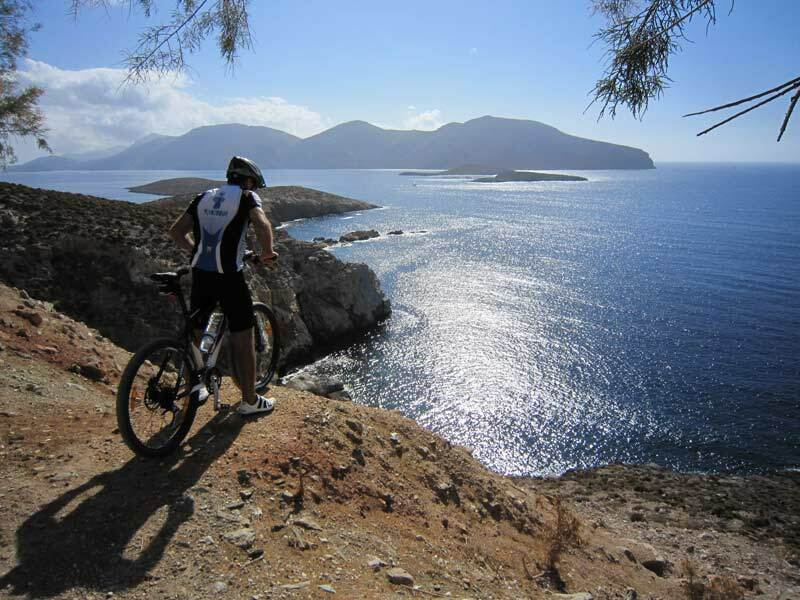 We organize the most attractive MTB tours on Kos, Leros and Nissyros and the most varied trekking tours on Kos and Kalymnos islands. 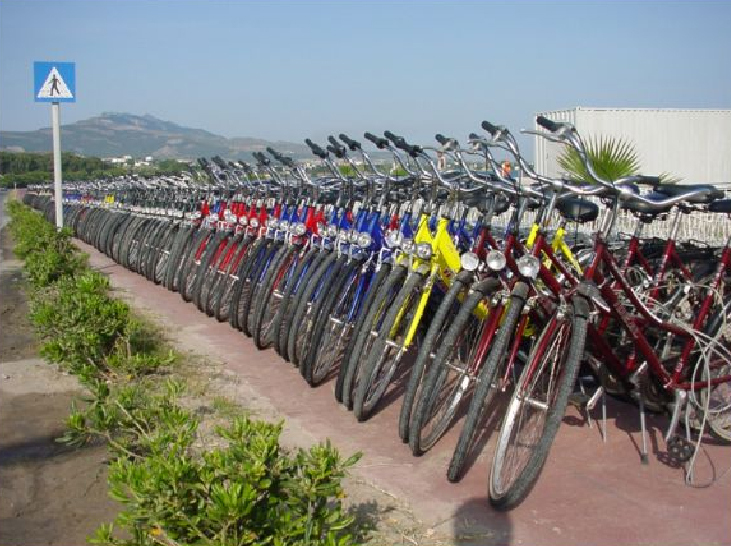 All our tours are escorted by an experienced bike guide who is very familiar with the area. 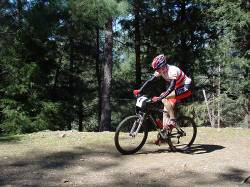 We offer a great choice of MTB and trekking tours. 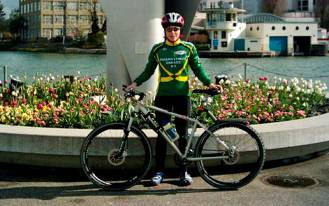 Our motto is „Enjoy biking and explore the four islands“. For participating at our tours, a good basic fitness is requires. We offer simple tours, suitable for everybody as well as excursions for advance bikers and real sportsmen/women. The daily tours of 35-60 km and up to 1.200 m are done without any pressure of time. The exact route and the speed are arranged according to the physical condition of the participants. We focus on the quality of our tours and on riding pleasure – we do not only want to bike many kilometers but make you enjoy unforgettable moments and impressions. 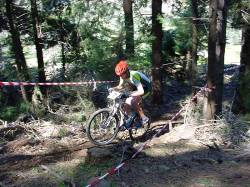 For our MTB tours we use SCOTT Hard tails Aspect 20 with Disc breaks, SPD, 27 Speed Shimano Deore, (26 & 29er) 2012 /2013. For the trekking tours we use SCOTT Sportster P20 SPD with Disc breaks / 30 Speed Shimano XT, 2012 /2013. We tested these easy riding bikes on all the tours and made perfect experiences. Attention: helmet obligation on all tours! 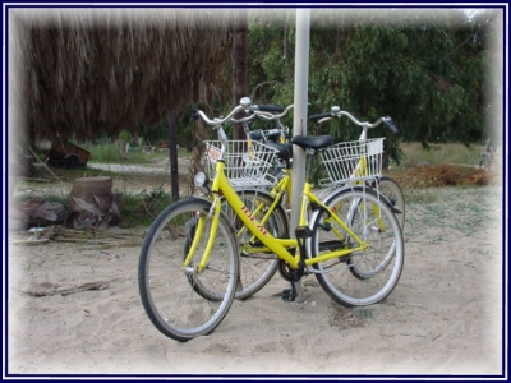 Transfers from the hotels in the areas Mastichari, Tigaki, Lambi and Kos town or on our bike station or starting point of the tour and return. SCOTT MTB or Trekking bikes, helmets, SPD, 1,5 L water bottles. Top bikes, helmet, German/English/Greek speaking bike guide. 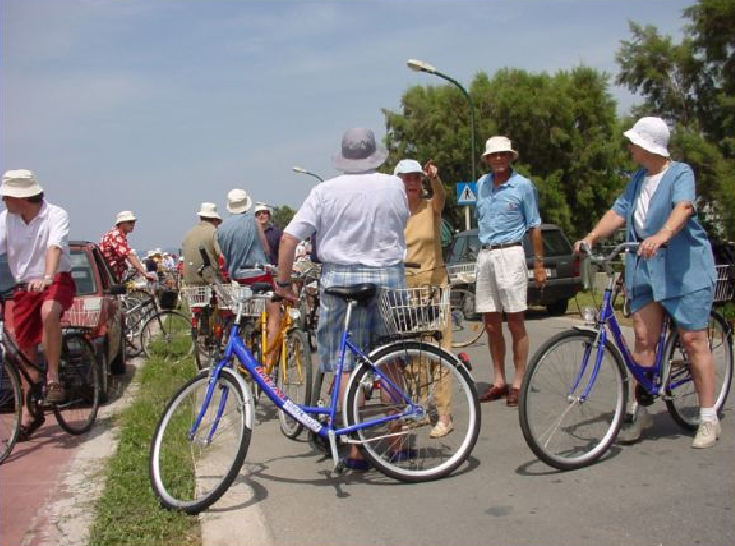 NOSTALGIA TRAVEL cordially invite you to Join the Team of Kos Bike Activities! Video Tour at Nikia - Nissyros. 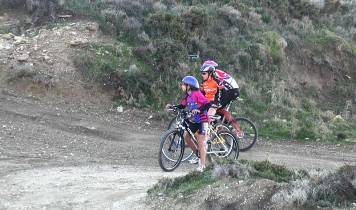 © Nostalgia Travel  / Sport-Kos / Mountain Biking.